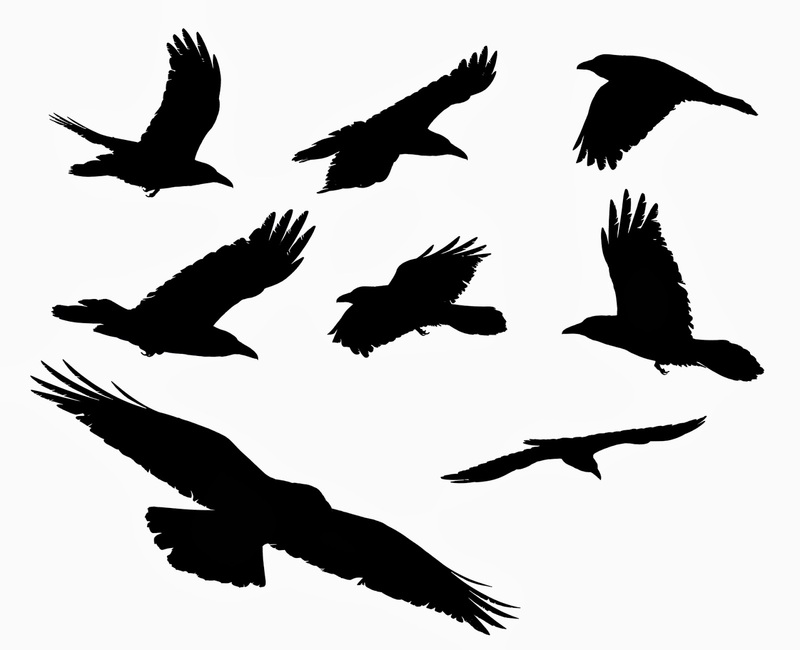 Yesterday as I came down the drive, I saw two crows, landing in trees close to each other and then racing away again, flying above our small back woods in random dives and circles, then lighting in a tree and taking off again, just two crows playing in the warm sun, or planning to make new crows. Who knows? The two crows reminded me of two boys many years ago, who in turn reminded me of two long ago comic strip men, Mutt and Jeff. Examining the boys’ stature, one was the shortest boy in their middle school class, and the other boy the tallest -- like Mutt and Jeff. They both had pellet guns, totally against my better judgment, with the admonition to Short One, “You kill it, you eat it.” I don’t know what Tall One was told by his parents. They had been sold a cassette tape of nothing but the sounds of fighting crows. Yes, as I came to find out later, the whole tape was fighting crows! These sounds were supposed to lure other crows to come to the fight, lure them within range of your gun. Whether the psychology of this recording endeavor was that the crows would come to rescue their friends or just come to join the melee, I don’t know. The boys put on their camo outfits, took their guns, and a boom box with the cassette loaded waiting for them to push the button. Oh, yes, we had gone through the gun safety course, and more recently the ‘where are the batteries’ scenario. And now they were loaded for bear, or crow as the situation demanded. They went through the back gate in the fence, past the tree house, and into the half acre of woods behind the house. We heard nothing but tramping and breaking brush sounds for a while, as they searched for a good spot, and then we could hear rustling and excited talk as they settled into their chosen site. Silence came over the woods, but it wasn’t long before the crows put on their performance. That sound of crows fighting coming from the boombox was squawking, loud and scary, with no breaks. Granted I'm not a crow, but if I were, that noise would definitely not lure me into the area. Nothing else happened for a while, and then we saw black dots in the sky above the woods , six, eight, ten, fifteen of them coming closer, from different directions. They zeroed in over the boombox, took turns circling and veering off fifty feet above. There were a few shots fired, but I saw neither falling birds nor scared birds. Some of them made daring nose dives toward the sound, not too close, and veered off into the trees before taking to the sky again. Most of the birds’ flight above the boys was random, until they seemed to have satisfied their curiosity and began to circle again, in ever higher and wider circles, not orderly like geese; or flying close to each other like starlings where the group itself becomes an ever-changing form; but random crows, alone, as though each bird wanted to be the lead in forming their ragged V. And they left making their own racket. You’ve heard nothing until you hear the blend of taped crows fighting turned up loud, and real crows making a similar racket as if in echo. There were times when I thought the real crows had honed their caws into laughter, but I’m not sure of that.